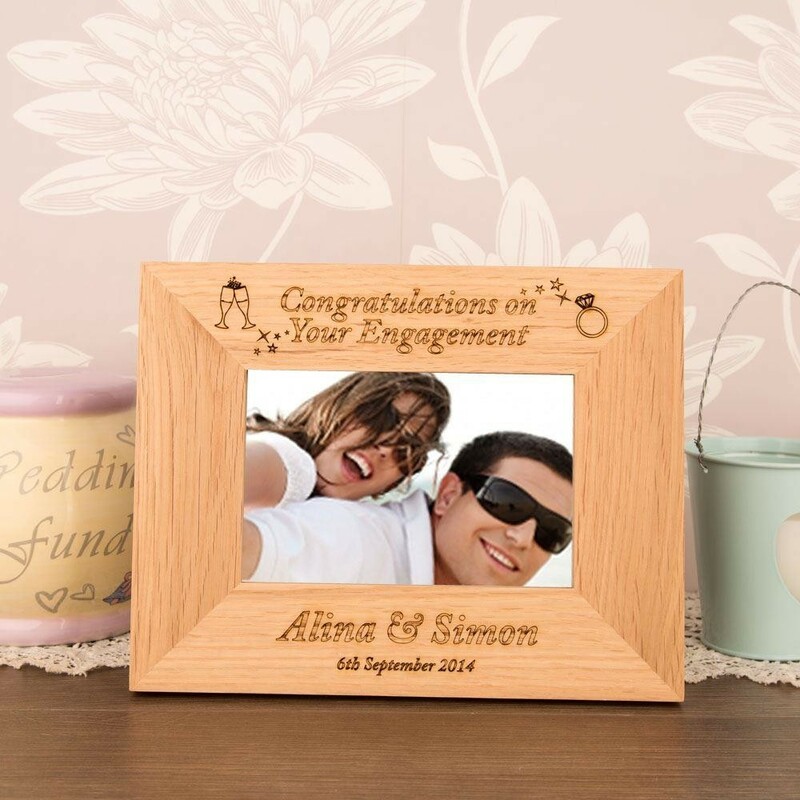 This stunning personalised frame is a lovely gift to give to a couple celebrating their engagement. 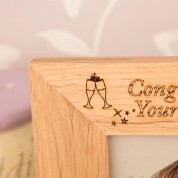 The solid oak frame has 'Congratulations On Your Engagement' engraved at the top alongside champagne glasses and heart balloons. The names of your choice and a personal message can be added to the bottom of the frame. Why not add a picture of the happy couple to make this gift extra special. 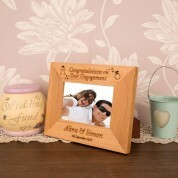 Being wood, it will still tie in with any home decor and sit well next to the other photo frames in the home.